Caroline joined Watsi on February 26th, 2015. 15 other people also joined Watsi on that day! 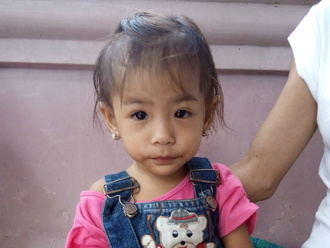 Caroline's most recent donation traveled 8,200 miles to support Kleo, a child from Philippines, to fund malnutrition care. Caroline has funded healthcare for 26 patients in 9 countries. 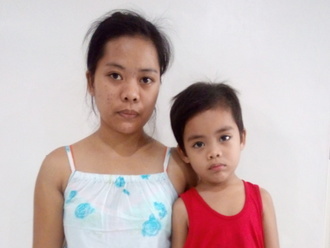 Kleo is a four-year-old boy from the Philippines who lives with his parents, one sibling, and another relative. In his free time, Kleo likes to watch TV and play with toy cars. Kleo has been diagnosed with moderately acute malnutrition. Malnutrition threatens his growth and development and could even be fatal if not addressed. Fortunately, he will begin $184 malnutrition treatment on February 20. Kleo will be treated by International Care Ministries (ICM), a Watsi medical partner. One out of five children under five in ICM communities is either severely or moderately malnourished. Worldwide, poor nutrition is associated with nearly half of all deaths in young children. In remote communities and urban slums of the Philippines, the lack of clean water and unclean environments add risk to potentially fatal childhood diseases. ICM’s home-based feeding program provides nutrient-enriched food packs to ensure malnourished children get additional food to regain normal weight and achieve optimum physical and mental development. After identifying a child as malnourished, staff and community volunteers make weekly visits to monitor this child’s progress. To help sustain the health of the child, ICM’s professional staff educate the mother, guardian, or other family members about proper nutrition, sanitation, hygiene, and organic vegetable gardening. Kleo's mother says, "I hope he becomes healthy and finishes his studies." 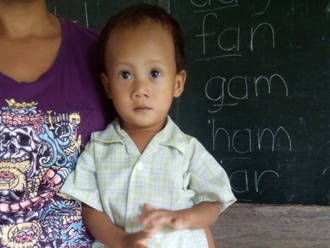 Ken is a 16-month-old boy from Guimaras, an island in central Philippines. He lives with family in a bamboo house lit by gas lanterns. He has five siblings, with whom he loves to play. His father works as a carpenter. Ken has been diagnosed with acute malnutrition. "I hope he becomes a healthy boy and finishes his studies," says his mother, who is very worried about her son's health. 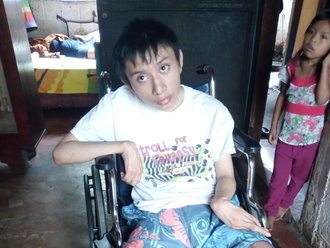 Our medical partner, International Care Ministries, is requesting $268 to cover the cost of an in-home feeding program to treat Ken's malnutrition. This will pay for nutrient-enriched food packs, weekly visits from medical staff, and health education for family members. Ken is scheduled to begin treatment on February 23. After treatment, he will return to playing with his siblings. 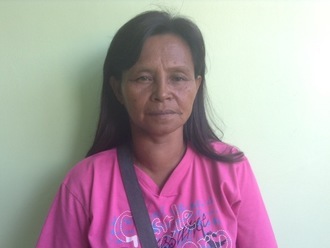 Barsilisa is a 54-year-old homemaker from the Philippines. She is married and has four children, the youngest of whom helps her with her daily household duties. Her husband is a fisherman, and her older children go to school. In her community, she's fondly known as "Barsing." In 2014, Barsilisa was diagnosed with a goiter, an abnormal enlargement of the thyroid gland. At the time, she took medication to treat it. She had to stop because the medicine was too expensive to buy continuously. As a result, her goiter grew, causing her extreme fatigue, tightening of the neck, and nervousness. Barsilisa visited our medical partner's care center, where it was determined that Barsilisa's condition cannot be treated with medications. She needs to undergo surgery. Our medical partner, International Care Ministries, is asking for $489 in funds to cover the cost of Barsilisa's thyroid surgery, hospital stay, and physician's fees. She will undergo surgery on January 31. Barsilisa is looking forward to being well so she can resume her duties as a mother and wife. "My condition hinders me a lot in doing my responsibilities as a wife and a mother for my children," says Barsilisa. "This operation means a life that is purposeful for me. Thank you so much." Sok Chea is a 19-year-old farmer who has two younger brothers. He likes to go to the farm, play soccer, and play games. Five months ago, Sok Chea developed a cholesteatoma, an abnormal skin growth, in his left ear. It causes ear discharge, hearing loss, bleeding, pain, and a ringing or buzzing in his ear. Though he has been taking medication, his symptoms have not improved. He is unhappy because he has difficulty communicating with others. When Sok Chea learned about our medical partner, Children's Surgical Centre (CSC), he traveled for two hours seeking treatment. On November 24, CSC surgeons performed a mastoidectomy procedure in his left ear to remove the cholesteatoma. After recovery, his hearing will improve. Now, he needs help to fund this $842 procedure. "I hope to have no more pain, good hearing, and an easier time communicating with other people, " says Sok Chea. 18-year-old Luis lives in rural Guatemala with his mother. He has been living with epilepsy since he was two years old. Luis was a healthy child until he contracted a fever that left him unable to walk or get up from bed. The illness confined him to a wheelchair and resulted in seizures that still occur three to six times a week. Since then, Luis has tried many medications and treatment strategies with little success. On October 14, 2016, Luis began a series of diagnostic tests––including labs and an MRI––with physicians at our medical partner, Wuqu' Kawoq (WK), to determine the cause of his seizures. The WK medical team will develop a personalized treatment plan to reduce the frequency and length of his seizures. Hopefully, this plan will improve Luis's quality of life. Now, Luis's mother needs help to pay for this $1044 treatment. “I dream my son will get better," she shares. Saidi is an 8-month-old boy from central Tanzania, where he lives in a mud house with his family. His parents farm their piece of land and work as laborers to pay tuition for Saidi's five siblings. Saidi's head has been progressively enlarging. He is moody and regularly vomits. 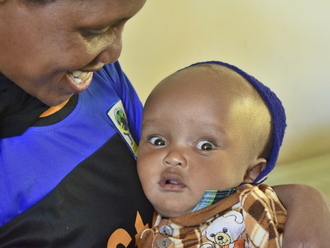 Saidi's mother traveled for eight hours to visit a Watsi medical partner, Arusha Lutheran Medical Centre (ALMC). Doctors determined that Saidi requires a $775 shunt insertion to drain excess cerebrospinal fluid in his head. Unfortunately, Saidi's family has no means to pay for this surgery. ALMC doctors expect that surgery will reduce the pressure in Saidi's head and his symptoms will gradually cease. Hopefully, Saidi will make a full recovery. Saidi's mother is looking forward to returning home with her son. Hasani is a two-year-old boy from Tanzania, born on July 31, 2014. He is the only child to his mother, who is a single parent, and he is an active and happy child. Hasani and his mother are now living at Hasani’s grandmother’s place. Hasani's mother is employed as a shop keeper. The little that she earns is not enough to support herself and her son, so she still relies on her parents to look after her baby. Hasani has had breathing problems ever since he was born. It was difficult for him to breastfeed, and he now has frequent fevers, constant running nose and trouble sleeping at night. His family members all want Hasani to be well, but they cannot afford the cost of the surgery that Hasani needs. For $488, Hasani will undergo an adenoidectomy at Aursha Lutheran Medical Centre. After surgery, Hasani will be relieved of his symptoms and be able to breathe more easily. “I just want my baby to be well because he is really suffering, especially when he sleeps at night,” shares Hasani’s mother. Meet Kor, a 57-year-old man from Cambodia. “Kor is married with three sons, two daughters, and one grandchild. He enjoys listening to the radio," shares our medical partner, Children's Surgical Centre (CSC). One year ago, Kor developed mature cataracts in each eye. A cataract occurs when a thin, cloudy layer forms over the eye’s lens. "This causes him blurred vision, discharge, tearing, and fear of bright lights. It is hard for him to see clearly, do work, or go anywhere outside," CSC explains. After learning about CSC, Kor and his sister travelled two hours to visit their clinic. They learned that a simple surgical procedure may restore Kor's sight. With $225, Kor will undergo cataract surgery, during which his old lenses will be removed and replaced with sheer artificial implants, allowing him to see again immediately after his operation. Dharma is a six-year-old boy from Nepal who currently studies in the second standard. He enjoys solving problems in mathematics and is concerned about missing school because he will have to rest after his surgery. Dharma has been living with a hernia-- a protrusion of intestinal tissue through the abdominal wall-- for a few months now. When it hurt him initially, he was too shy to tell anyone. When his brother found out about Dharma's condition, he informed their mother. 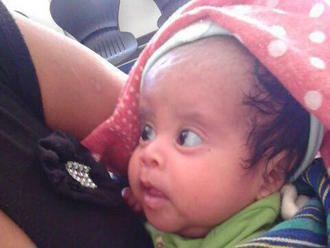 His mother finally brought him to the hospital when Dharma's hernia had gotten too painful and hard in the last week. Dharma is one of a family of six, and he has one elder and one younger brother. His father stayed back home to look after the youngest son and his own brother. They tend to the farm year round and look after their cattle to keep the family going. The family needs financial assistance to cover the $491 hernia repair surgery for their son. During the procedure, doctors will return the herniated tissue to the abdominal cavity and mend the weakened area in the abdominal wall. After surgery, Dharma will be pain free once again and able to return to school. "I hope Dharma's treatment happens soon," says Dharma's mother. "There is a lot of work to do back home and with each passing day, the work is pending." Let's help fund Dharma's procedure and get him back to school. Two-month-old Gregorio lives with his parents and older sibling in Guatemala. “Gregorio is acutely malnourished due to his mother's lack of breast milk,” our medical partner, Wuqu’ Kawoq (WK), tells us. “His mother is not able to produce enough breast milk for him to survive, meaning that he weighs even less than when he was born.” While Gregorio’s mother takes care of the children during the day, his father leaves their home early every morning to chop wood on the mountain and sell it in town. Despite the long hours of hard work, his father earns very little money and can afford only very basic foods like tortillas. As a result, the family is unable to buy formula for Gregorio. “Gregorio’s mother has been supplementing the little milk she makes with water, which depletes Gregorio’s electrolytes and puts him at risk of seizures and permanent brain damage,” WK continues. The inability to produce breast milk—known as lactational failure—is a serious condition for a newborn baby without access to formula. Fortunately, treatment for Gregorio is possible. “Formula will give Gregorio the nutrients, calories, and protein he needs to grow,” WK explains, “His mother will receive one-on-one motivational nutrition education to prepare her to give him solid foods and teach her how to prevent future malnutrition.” $1,016 pays for a one year’s supply of formula and six months of micronutrient support for Gregorio. Funding also covers the cost of a case manager and a nutritionist to help Gregorio’s mother coordinate his care, plan his meals, and monitor his progress. With treatment, “Gregorio's immune system will grow stronger, saving his life and helping his family to be much less stressed economically,” says WK. Meet Chum! Chum is a 57-year-old rice and crop farmer from Cambodia. Nearly one year ago, Chum developed a cataract in each eye. Cataracts are the result of excess proteins forming on the lens of the eye, which make the lens cloudy and difficult to see. According to our medical partner, Children’s Surgical Centre (CSC), the cataracts are significantly interfering with his daily life. “Chum has blurred vision, tearing, irritation, and has even become afraid of sunshine.” Since he can’t see everything clearly, it has affected his ability to do work or even go anywhere outside. Hoping to get treatment for his cataracts, Chum has traveled 3 hours to the local care center with his wife. Doctors from CSC have recommended that Chum undergo a short operation. An incision will be made in each eye to replace the clouded lens with new artificial implants. $225 will cover the cost of the surgery, medicine, and hospital fees. Chum is married with 4 sons, 5 daughters, and 20 grandchildren. He enjoys watching boxing on TV in his free time and is excited to be able to see again to “continue work on the farm, plant rice, and go anywhere he wants,” shares CSC. His family are also looking forward to having him regain his eyesight. “I hope I can stop worrying about my husband’s vision loss,” shares his wife. Let's help Chum get the care he needs.